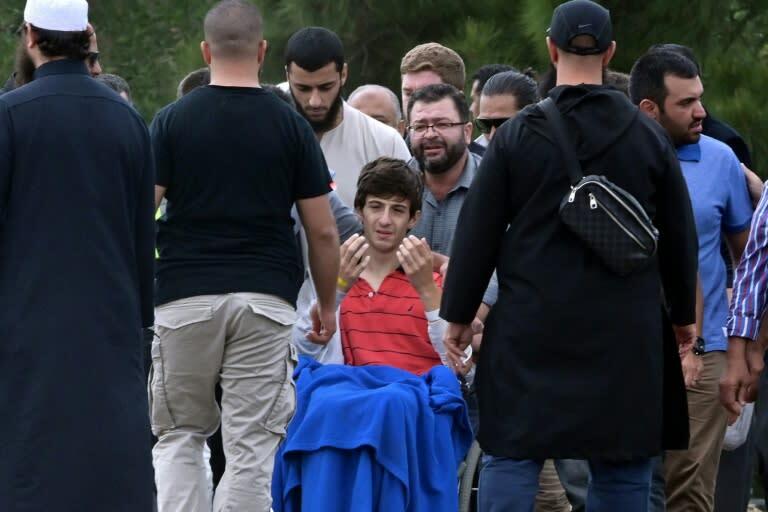 A Syrian refugee and his son who fled the chaos of their homeland only to meet tragedy in New Zealand were buried on Wednesday in the first funerals of those killed in the mosque massacres. 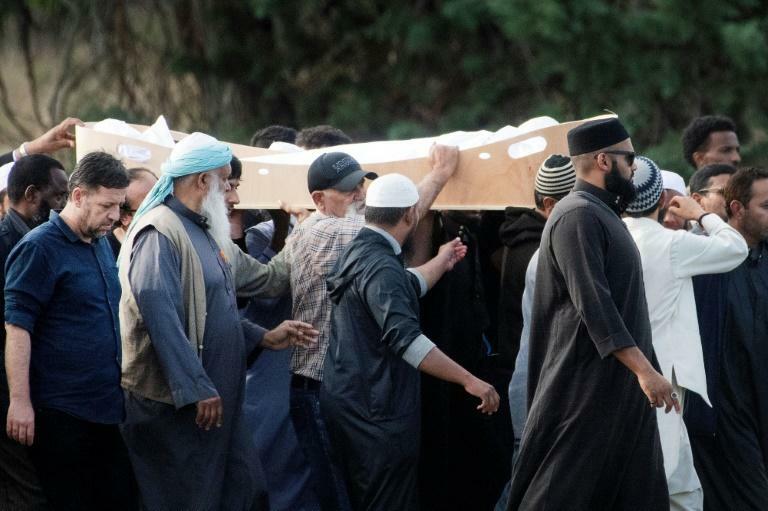 Hundreds of mostly Muslim mourners gathered at a cemetery in the southern city of Christchurch to lay to rest Khalid Mustafa and his 15-year-old son Hamza, who were among 50 people slaughtered at two mosques by an Australian white supremacist. 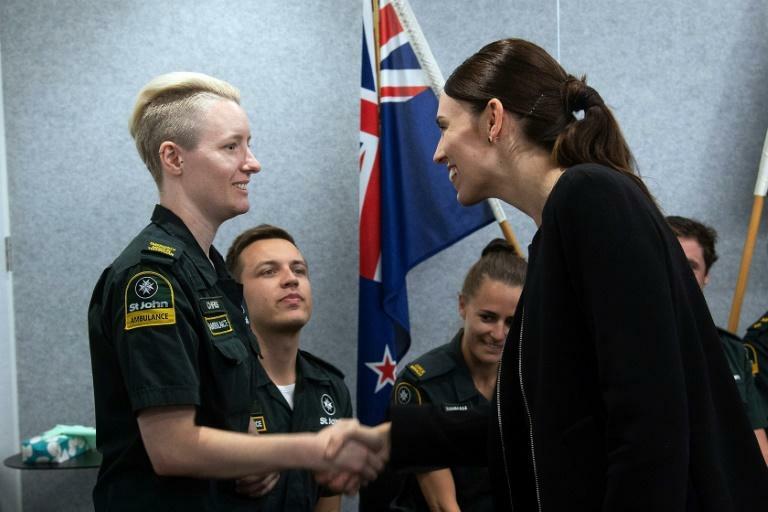 "I cannot tell you how gutting it is to know that a family came here for safety and for refuge, and they should have been safe here," Ardern said at a press conference in Christchurch after the funeral. Khalid, 44, and Hamza were shot dead at the Al Noor Mosque, the first site to be attacked, but not before Hamza called his mother in a panic. "After that I heard shooting and he screamed and after that I didn't hear him," she told New Zealand media this week. Their younger son Zaid, 13, was also wounded in the attack and attended the funeral in a wheelchair. In a powerful scene, he held his hands aloft as he prayed alongside rows of mourners. "I shouldn't be standing in front of you. I should be lying beside you," Zaid said at the graves of his brother and father, according to Jamil El-Biza, who travelled from Australia for the funerals. Also attending was Abdul Aziz, an Afghan refugee who confronted the gunman at Linwood Mosque. He was embraced by many mourners. A total of six burials took place on Wednesday and more were expected in the days ahead after police on Tuesday began releasing victims' remains for burial. The scale of the attack has caused global revulsion, including alleged gunman Brenton Tarrant's use of social media to livestream the carnage in real-time. "There is an argument there to be made for us to take a united front on what is a global issue," she said. "This is not just an issue for New Zealand, the fact that social media platforms have been used to spread violence (and) material that incites violence." New Zealand on Wednesday charged a second person with sharing the gruesome livestream video of the deadly attack. Philip Arps, 44, who was arrested the day before, was charged with two counts of distributing objectionable material under the Films Act and was remanded in custody after appearing in Christchurch District Court. The 28-year-old gunman was arrested after the shootings and is expected to spend his life in prison as New Zealand has no death penalty. In a rambling "manifesto", Tarrant had said he was motivated partly by a desire to stoke religious conflict between Islam and the West. Australian Prime Minister Scott Morrison on Wednesday condemned what he called "highly offensive" comments by Turkish President Recep Tayyip Erdogan, warning that he would consider "all options" in reviewing bilateral relations. Erdogan had said the attack was part of an assault on Turkey and Islam and warned anti-Muslim Australians would be "sent back in coffins" like their grandfathers at Gallipoli, a blood-drenched World War I battle. In the latest display of cross cultural solidarity in New Zealand, as Muslims prayed and prostrated before Al Noor mosque dozens of locals silently stood behind them, their arms interlinked. Moments earlier hundreds of people thumped their chests, stomped their feet and stuck out their tongues for a haka performance, their cries echoing across the park. Nuha Asad, who lost her husband Ali Elmadani in the massacre, watched from the sidelines, visibly moved. "The New Zealand community really cares for us and we're really together in this," she told AFP. "It made us a little happier in the grief". The traditional haka is used in Maori culture in a variety of ways -- to intimidate rivals, to celebrate weddings but also to mourn, melding both hostility and beauty into a powerful outpouring of emotion. The start of funerals should ease pressure from Muslim families, many of whom have travelled long distances to claim loved ones' remains and complained that police investigations have delayed the return of bodies and prevented the speedy burials prescribed under Islam. New Zealand authorities are yet to release an official list of the dead, making it difficult to assess the full histories of victims. But few are likely to present a narrative as poignant and tragic as the Mustafa family. The New Zealand website Stuff.co.nz this week ran a picture of Hamza smiling on a boat as he showed off a freshly caught fish. His mother said that after their phone connection was cut during the shootings, she tried repeatedly to reach him again. "After that someone picked up the phone and told me your son can't breathe, I think he's dead," the website said quoted her saying. Salwa described her son and husband as both "very caring" people, adding that "our lives have completely changed." "God will punish him (the gunman), my son and my husband are in heaven now and we're going after them, we're going to follow them to the heavens."